Classified system by the International Tennis Federation (I.T.F.). 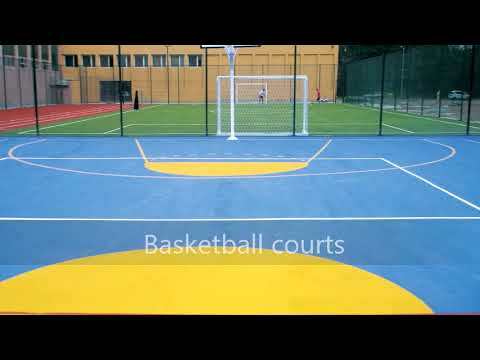 Outdoor resilient and fast-applied acrylic sports flooring system. Certified by LABOSPORT and according to EN 14904. Elastic wet-pour, polyurethane, safety flooring ideal for volleyball, handball, basketball, football courts and multipurpose courts. Very elastic shock absorbent, cushion, wet-pour rubber flooring used as subfloor.